Quite a lot of folks with chronic medical conditions are skeptical about the consumption of marijuana by smoking it. If you are in this category, then here is an easy way out. Taking in medicinal cannabis by adding it to your delicious smoothies and juicing it will give you all the health benefits and much more! Ingesting of cannabis fresh and raw is the most advantageous as all the nutrients and cannabinoid compounds will remain intact without undergoing any change into compounds that you may not necessarily need at this point. 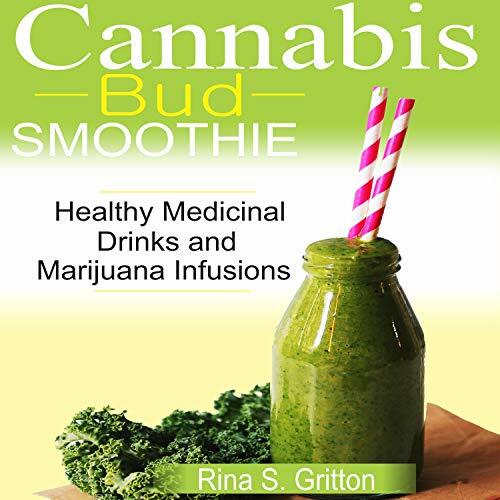 You will learn how to incorporate cannabis buds and cannabis infusions into your daily smoothies to aid you in managing those severe pains, inflammations, ailments and generally giving you a more healthy life. This audiobook is filled with a delicious smoothie and juice recipes packed loaded with vitamins, nutrients and cannabinoids. The recipes are organic, gluten and sugar-free with the foundation being cannabis. Listen to this audiobook today and begin your journey toward a healthier life!